Rand Paul, following in his father’s footsteps, has re-introduced a plan to audit the Fed. Trump supports the plan and even Bernie Sanders voted for it the last time the bill was put up before congress. I have no idea why. There might be an argument for ending the Fed entirely. Larry White gives a good summary of the argument in this video. I’ve written about the American Free Banking System, which worked reasonably well in the absence of a central bank (although the evidence is mixed). And maybe ending the Fed is the ultimate goal of Fed audit supporters and this bill is just a symbolic victory. But it really does essentially nothing useful and could potentially have detrimental effects. In the press release linked above, Thomas Massie says “Behind closed doors, the Fed crafts monetary policy that will continue to devalue our currency, slow economic growth, and make life harder for the poor and middle class. It is time to force the Federal Reserve to operate by the same standards of transparency and accountability to the taxpayers that we should demand of all government agencies.” Even besides the fact that there is no serious economic analysis I know of that says the Fed makes life harder for the poor and middle class, this statement is complete nonsense. 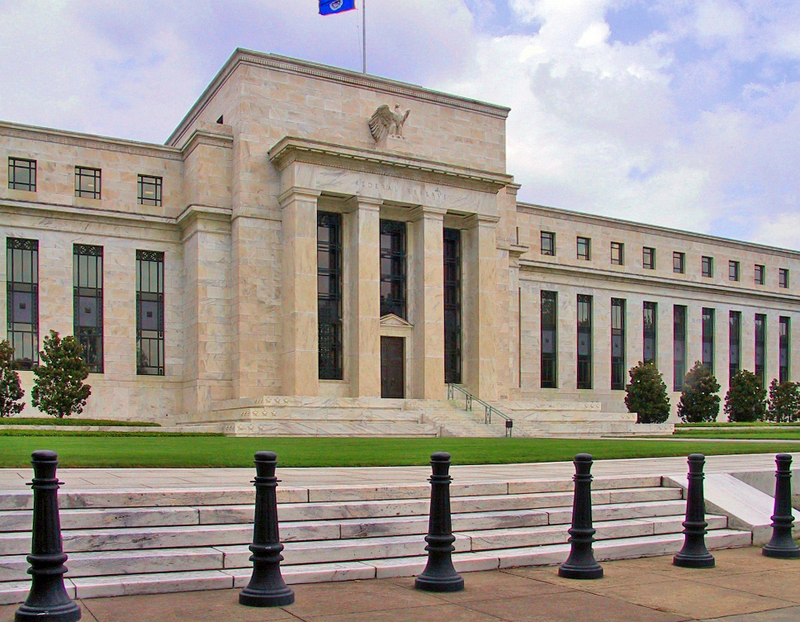 Does the Fed need to be more transparent? I have a hard time seeing how it possibly could be. The Fed already posts on its website more information than anyone other than an academic economist could possibly want to know. Transcripts from their meetings, their economic forecasts, justifications for interest rate changes – it’s all there in broad daylight for anybody to read. As David Wessel points out in an excellent Q&A on auditing the Fed, the Government Accountability Office (GAO) already knows everything important about most of the assets held by the Fed. The only possible change that could come as a result of auditing the Fed is more influence by congress over Federal Reserve decisions. That’s terrifying. Whatever your opinion of the Fed, it’s impossible to deny that it’s run by incredibly smart people who have dedicated their lives to understanding monetary policy. That doesn’t make them infallible. I’m all for taking power away from experts, for decentralizing and allowing markets to control money. But if we’re going to allow a group of individuals to decide the policy, at least let them be people who have some idea what they’re talking about. You might not love Janet Yellen, or Ben Bernanke, or Alan Greenspan, but I can’t imagine anyone would prefer monetary policy to be run by congress. Think about the arguments over raising the debt ceiling. Do we want that every time the Fed tries to make a decision? I certainly don’t. I can absolutely criticize monetary policy. The Fed has come in below its 2% inflation target consistently for about 10 years now even though unemployment had been far from the natural rate. Maybe an NGDP target would be an improvement over the current dual mandate. And maybe we don’t need a central bank at all. I’m not opposed to monetary reform. But I can’t get behind a bill that only appears to make conducting monetary policy more political. 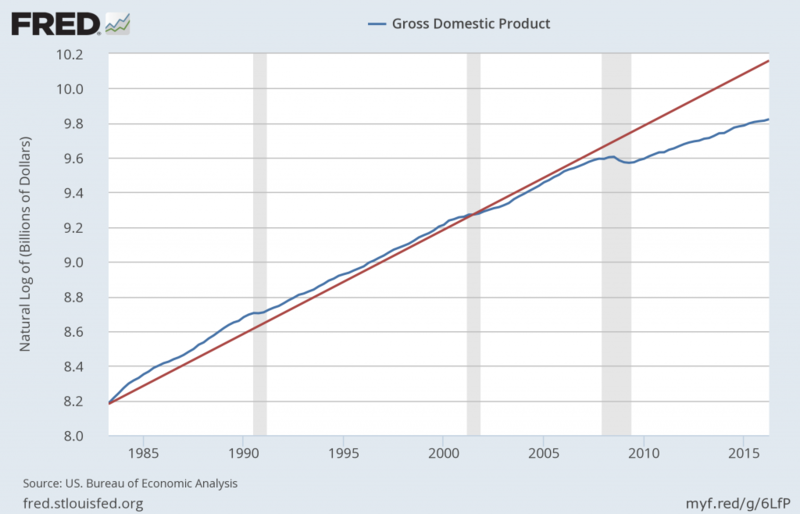 Probably the best example that blogging can have a significant influence on economic thinking has been Scott Sumner’s advocacy of nominal GDP (NGDP) targeting at his blog The Money Illusion (and more recently EconLog). Scott has almost singlehandedly transformed NGDP targeting from an obscure idea to one that is widely known and increasingly supported. Before getting to Scott’s proposals, let me give a very brief history of monetary policy in the United States over the last 30 years. From 1979-1982, the influence of Milton Friedman led the Federal Reserve to attempt a policy of constant monetary growth. In other words, rather than attempt to react to economic fluctuations, the central bank would simply increase the money supply by the same rate each year. Friedman’s so called “k-percent” rule failed to promote economic stability, but the principle behind it continued to influence policy. In particular, it ushered in an era of rules rather than discretion. Under Alan Greenspan, the Fed adjusted policy to changes in inflation and output in a formulaic fashion. Studying these policies, John Taylor developed a simple mathematical equation (now called the “Taylor Rule”) that accurately predicted Fed behavior based on the Fed’s responses to macro variables. The stability of the economy from 1982-2007 led to the period being called “the Great Moderation” and Greenspan dubbed “the Maestro.” Monetary policy appeared to have been solved. Of course, everybody knows what happened next. On Milton Friedman’s 90th birthday, former Federal Reserve chairman Ben Bernanke gave a speech where, on the topic of the Great Depression, he said to Friedman, “You’re right, we did it. We’re very sorry. But thanks to you, we won’t do it again.” According to Scott Sumner, however, that’s exactly what happened. 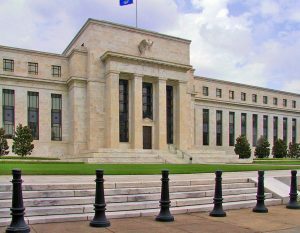 Many explanations have been given for the Great Recession, but Scott believes most of the blame can be placed on the Fed for failing to keep nominal GDP on trend. We can also think about the differences in a central bank’s response to shocks under inflation and NGDP targeting. Imagine a negative supply shock (for example an oil shock) hits the economy. In a simple AS-AD model, this shock would be expected to increase prices and reduce output. Under an inflation targeting policy regime, the central bank would only see the higher prices and tighten monetary policy, deepening the drop in output even more. However, since output and inflation move in opposite directions, the change in NGDP (which is just the price level times output), would be much lower, meaning the central bank would respond less to a supply shock. Conversely, a negative demand shock would cause both prices and output to drop leading to a loosening of policy under both inflation and NGDP targeting. In other words, the central bank would respond strongly to demand shocks, while allowing the market to deal with the effects of supply shocks. Since a supply shock actually reduces the productive capacity of an economy, we should not expect a central bank to be able to effectively combat supply shocks. An NGDP target ensures that they will not try to. 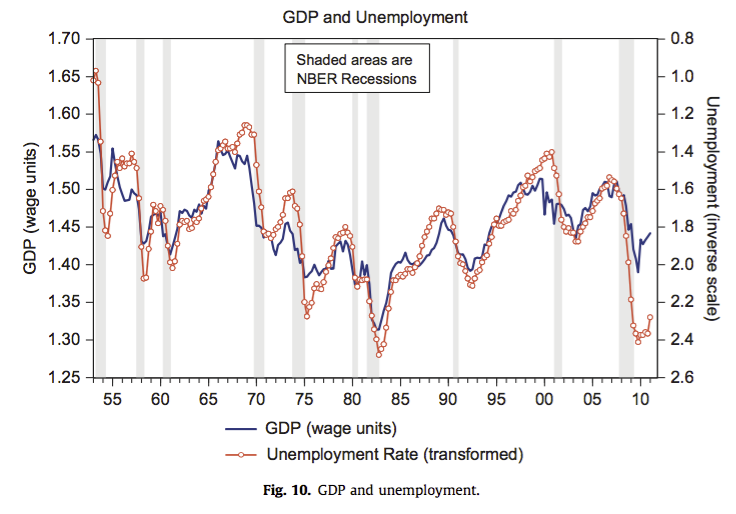 Looking at a graph of NGDP makes the recession much more obvious. Had the central bank instead been following a policy of targeting NGDP, they would have needed to be much more active to stay on target. Nick therefore calls inflation “the dog that didn’t bark.” Since inflation failed to warn us a recession was imminent, perhaps NGDP is a better indicator of monetary tightness. Of course, we also need to think about whether a central bank would even be able to hit its NGDP target if it decided to adopt one. Scott has a very interesting idea on the best way to stay on target. I will soon have another post detailing that proposal. Author Chris SurroPosted on August 24, 2016 August 24, 2016 Categories EconomicsTags Macroeconomics, Monetary Policy, NGDP TargetingLeave a comment on Why Nominal GDP Targeting?